Happy Tuesday Stampers! 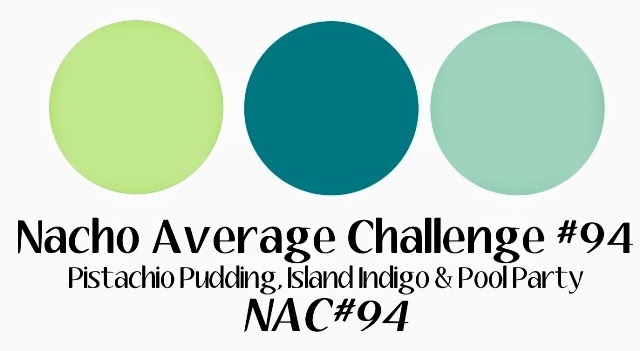 We have a fun new color challenge at Nacho Average Challenges. Hope you check us and create with us this week! Truth be told, this color challenge kicked my behind! For some reason I thought Island Indigo was Pacific Point, don't know why! My fellow Nacho Designers rocked the color challenge though!